This October marks the 50th Anniversary of the Wild & Scenic Rivers Act. There are approximately 3.6 million miles of streams in the United States; 1.1 million are at least five miles in length. Only 12,734 miles are protected by the Wild & Scenic Rivers Act— which means only 0.35% of the rivers in the US are protected under the act, including 76 miles of the Poudre River. What does it mean for a river to be Wild & Scenic? The fifty year anniversary of the act is a huge milestone for an important piece of legislation that protects free-flowing rivers from being dammed, while also allowing for the public to enjoy them. It also encourages river management to cross political boundaries while inviting public participation to develop goals to protect these important rivers. Wild Rivers – Rivers or sections of rivers that are free of impoundments and generally inaccessible except by trail, with watersheds or shorelines essentially primitive and waters unpolluted. These represent vestiges of primitive America. Scenic Rivers – Rivers or sections that are free of impoundments, with shorelines or watersheds still largely primitive and shorelines largely undeveloped, but accessible in places by roads. Recreational Rivers – Rivers or sections that are readily accessible by road or railroad, that may have some development along their shorelines, and that may have undergone some impoundment or diversion in the past. 30 miles of the Poudre River are designated as Wild and 46 miles are designated as Recreational. Let's Celebrate this Major Milestone! 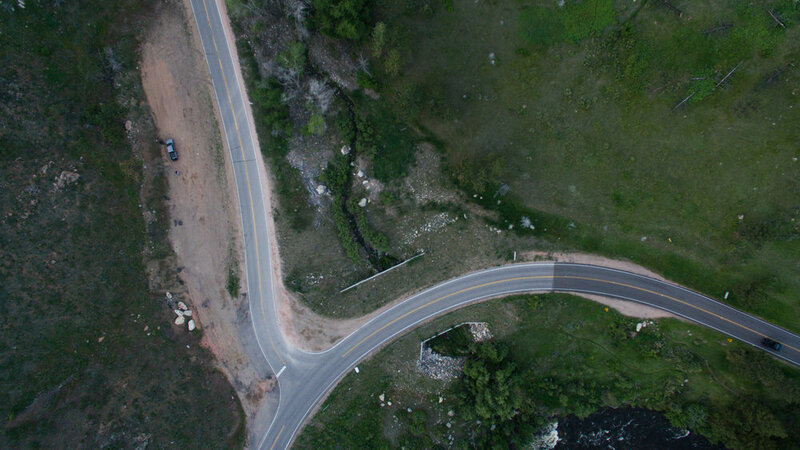 The Poudre River is central to our community-- we all depend on it as a source of clean drinking water (and amazing beer), recreation, agriculture, and a place to find solace and reflection. We think the Poudre is worth celebrating every day, but to mark this special occasion of the 50th Anniversary of the Wild & Scenic Rivers Act, we partnered with The Mishawaka, Wildlands Restoration Volunteers, and the Arapaho & Roosevelt National Forests and Pawnee National Grasslands for a day long event centered around the river. Join us on Sunday, September 16 for a morning of volunteer projects in the Wild and Scenic cooridor and an afternoon/evening celebration at the Mishawaka. Volunteers can sign up to help maintain a post-fire/flood project at Skin Gulch located off Highway 14 along Stove Prairie Road, by assisting with weed control and litter removal. Or, volunteers can sign up to hike Young Gulch Trail, which was severely damaged during the 2012 High Park Fire and 2013 floods and remains closed to this day. Self-guided hiking tours with educational talks will give participants the opportunity to learn about restoration and reconstruction work at the site. 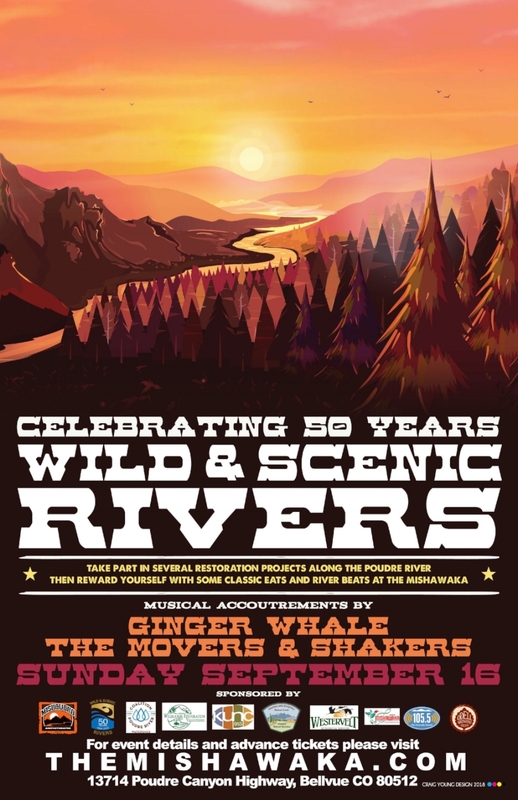 Activities move to Mishawaka Amphitheatre in the afternoon, with more opportunities to learn about the work partner organizations are doing to keep the Poudre wild and scenic, flycasting with Rocky Mountain Flycasters, and live music from Ginger Whale and The Movers & Shakers. Tickets include light appetizers and a beer with ID; a discounted ticket + shuttle package price is also available. Event proceeds will benefit two critical restoration projects in the watershed including wildfire mitigation along Elkhorn Creek, a tributary to the Poudre, and volunteer support for the completion of the Young Gulch Trail restoration.